ScanFile our solution for small to medium size businesses is an easy to use but powerful product that can grow with you. Offering many features normally found only in large scales solutions make ScanFile the ideal platform for your document management needs. A fresh new look to document management. ScanFile version 9 brings a fresh new look together with a host of new features to one of the most popular and easy to use document management solutions available. ScanFile offers a flexible and easy to use platform for the storage, referencing and retrieval of your organisations documents. ScanFile v9 supports a vast range of black and white and colour document scanners, and includes several features to make the storage of electronic format documents, such as word processing and spreadsheet format files a straightforward task, including integration with Microsoft Office applications. ScanFile software has a host of standard features that allow you to design and create document storage folders, and then to scan, send and import documents to them. Search and document viewing tools are comprehensive, but easy to access and use. ScanFile has been designed to be modular, so that you only have to purchase the features you require, with those features then integrating seamlessly into the core application. ScanFile does not have separate applications for scanning and viewing documents. Just one application allows you to carry out all of the tasks. Making it even easier is the Folder toolbox. The toolbox allows you to swap between scanning, searching and editing at any time without having to change windows, or select options from the menu’s. Typically, a user can be trained to use the basic functions of ScanFile, such as scanning and retrieving in less than 15 minutes. Creating a storage Folder for your documents is the work of moments. Create up to 10 fields, specify what kind of information they are going to hold, add a keyword list if required, and save it. The Folder is then ready for you to add documents to. You can create as many different Folders as you wish, in different locations on your workstation or network storage location. The Extended settings and properties allow you to configure input masks, duplicate entry checks, mandatory fields and much more. ScanFile can display over 200 different document types, including all the most popular formats such as TIFF, JPG, PDF and MS-Office documents. Also included are easy to use document navigation tools allowing you to quickly page through any document, and change its level of zoom and rotation. You can view documents as thumbnails, and then select the pages you want to see, and you can also view multiple pages or documents at the same time. Now part of the core package, ScanFile libraries gather together all index data from single ScanFile Folders. 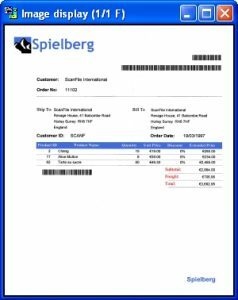 Thus, letting you catalogue a series of related ScanFile folders, for example having a ScanFile Library for 2017 invoices containing the searchable index data from the 12 ScanFile folders you created for each month January 2017 to December 2017). Allowing up to 10 barcodes from a single page to be read and used to automatically populate searchable index fields, can be a very fast way to process your existing documentation with minimal need for user’s to before data entry on their keyboards. The two key means of using OCR in ScanFile are: i) to populate index fields by using Zonal OCR to read specific areas of a page for the required information, for example, Invoice Number, Date, Reference Number or ii) to carry out a Full Text OCR capture allowing you to search for keywords or phrases that you need to find in large documents fast, across multiple documents in one quick and easy search. Continuing on from OCR, this module will read different forms and instinctively be able to adjust to different Zonal OCR settings to find the relevant sections of a page and write the data into indexing field information that you can search by in the future. A form of advanced audit trail for ScanFile, which if you require can report on all activities of all users in a central database. This data can then be searched, narrowed down with filters (by user, by library/folder, by date, etc), accessed and printed out from inside of ScanFile. The ability to have ScanFile send documents between different users in a department, in a specified set of stages allows you the ability to further automate the Document Management process from data entry and capture to verification and approval of digital documents. 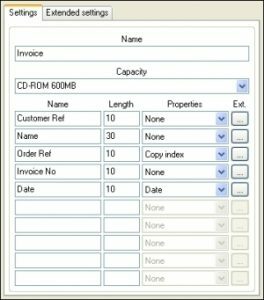 To get away from having to store spool files on microfiche or even still in printed form, the COLD module is capable of importing and automatically indexing these files. Using ScanFile VNP, you gain a virtual printer to your printers list that when printing documents to this printer, will convert the document to image files (Tiff Format) and store them in a specified location that can then be read from to import the documents into ScanFile. During this process, the documents can also be read by either Zonal or Full Text OCR engines, providing you’ve purchased the OCR module.